Demand on M2M (Machine-to-Machine) connections from Kyivstar's corporate clients is stably growing: if in 2016 there were 1 million M2M cards in the operator's network, in Q3 2018 there were 1.4 million and in February 2019 – 1.5 million. According to the press release of the largest Ukrainian telecom operator on Friday, March 15, 90% of connections are B2B clients, some of which use M2M to automate and control their business. Among the examples, Kyivstar named POS terminals, electricity meters, remote control of machinery movement and the amount of fuel used. According to the company, another part of customers creates their products on the basis of M2M connections: car and home alarms, fire safety systems; in the agricultural sector – sensors to meter the temperature and soil moisture, and other products. In particular, according to the release, the greatest demand for M2M connections among business customers is formed by security and financial services. The number of M2M cards from enterprises providing various services and services to the population has also doubled, for example, a system for tracking utility vehicles and sensors for reading indicators from heat, water and electricity meters. Retail and energy are on the fourth and fifth positions, the operator said. Kyivstar noted active growth in demand for M2M among private users: as a rule, people connect M2M Sim cards for real estate protection in Smart Home systems, for sensors and trackers, navigators and car alarms. Kyivstar is a Ukrainian mobile communications operator. 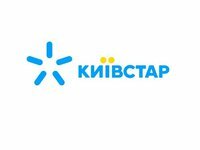 VEON international group (earlier VimpelCom) is the shareholder in Kyivstar. The group's shares are listed on NASDAQ (New York).